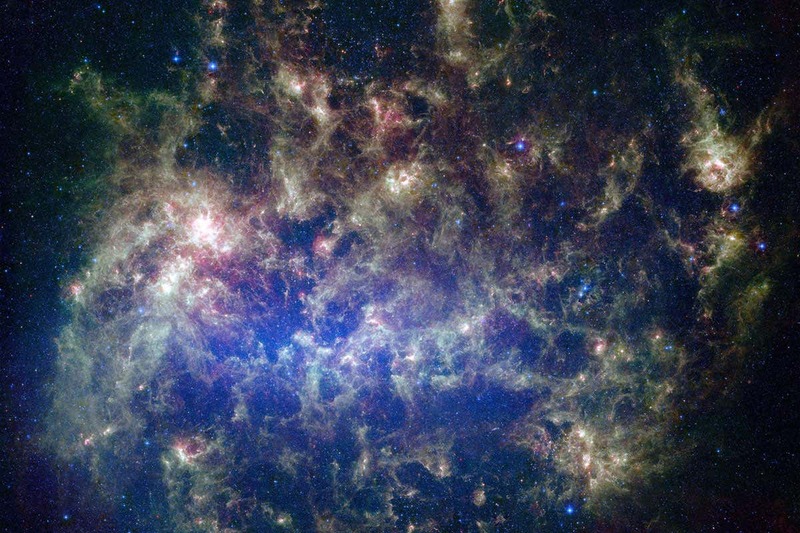 The Milky Way is facing a violent path towards normalcy. A new simulation predicts that our galaxy will collide with the nearby Large Magellanic Cloud in about 2.4 billion years, a smashup that will actually make the Milky Way more similar to its galactic counterparts. Our galaxy is not a normal spiral galaxy for several reasons. For its size, its central black hole seems to be an order of magnitude too small; its stellar halo has far fewer heavy elements than other spiral galaxies; and its biggest satellite galaxy, the Large Magellanic Cloud (LMC), is unusually large. That may be about to change. Recent work has suggested that the LMC might be more massive than we thought. A team of researchers from Durham University in the UK have calculated that because of its larger size, it might be slowly reversing course to head towards the Milky Way. They found that it will likely collide with our galaxy in about 2.4 billion years, well before the much larger predicted collision with the Andromeda galaxy more than 5 billion years from now. The team used eight supercomputer simulations of galaxies similar to the Milky Way and the LMC to predict what will happen after the collision (see video, below). They found that the Milky Way’s central black hole could grow by up to a factor of eight because of turbulence knocking gas out of orbit. The LMC will also bring heavy elements into the stellar halo. They also found that the sudden growth of the central black hole may cause it to become more active, spewing out powerful jets of radiation in what’s called an active galactic nucleus.